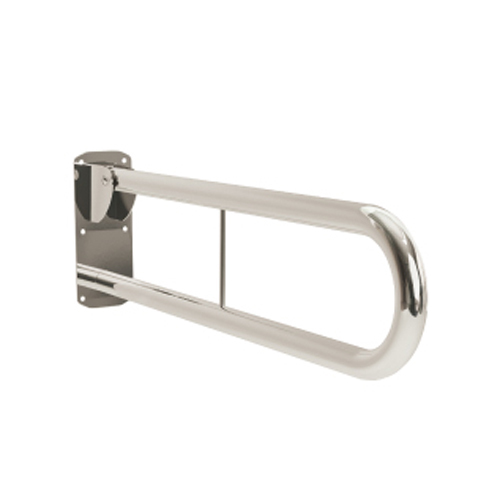 Stainless steel friction, hinged arm supports with a contemporary design to compliment your Opulence inspired, modern easy access shower doors. Hinged arm supports are manufactured from 35mm stainless steel unless stated otherwise. Mount by the side of a WC shower or washbasin to provide a safe way of sitting down & standing. Easy to use friction action. Stainless steel backplate for durability. Tested to 170kg in 90˚ & 45˚ positions. Straight hinged arm support tested to 120kg in 90˚ & 45˚ positions.